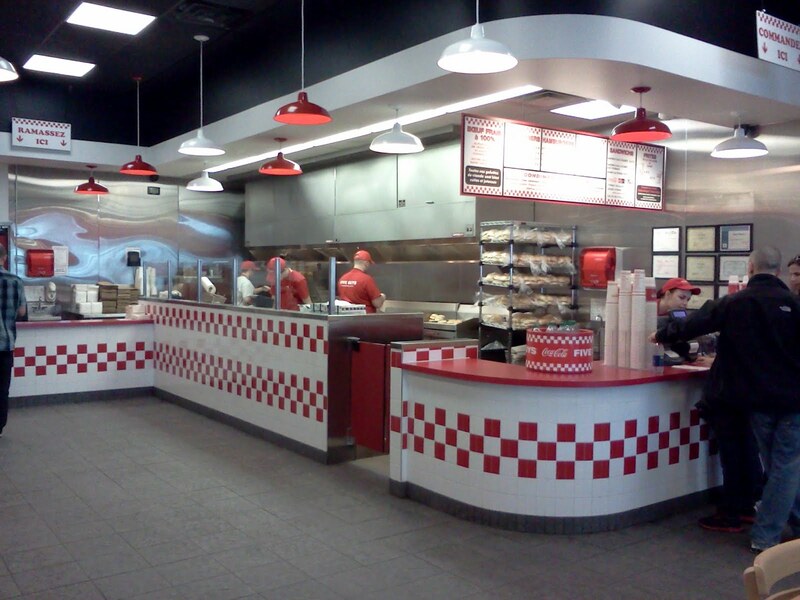 Five Guys restaurant is simple burger and fries place (and free peanuts for some reason). Their standard burger is a double patty with the toppings you want (although I think you can order a single patty burger too). It's not an inexpensive burger, (even though it looks like a fast food place) but it's worth it as they make a really good burger. It's easily better than a Harvey's burger any day of the week. A side note is that one serving of fries is enough for three people (I'm not a fan of their fries personally). Five Guys uses 80/20 ground chuck-high quality ground beef containing only steer and heifer meat, which does not include any cow meat or fatty trimmings. We do not use ammoniated procedures to treat our ground beef. This means there is NO "pink slime" in our burgers. Our beef comes from the percentage of companies that do NOT use these methods. It makes you think twice about eating burgers anywhere that uses pink slime...But according to Wikipedia it's not permitted in Canada...Let's hope so. How much were the burgers? 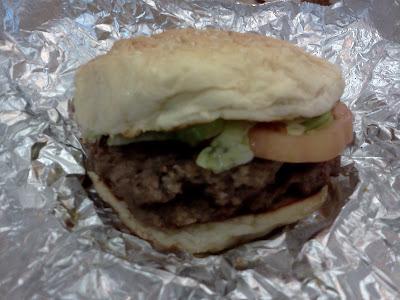 Don't remember exactly...Probably around ~$8 (taxes included) for a double patty. With fries you'll probably be spending ~$11.